CURT hooks offer a reliable connection for securing safety chains, binder chains or other tie-downs. Our clevis hooks feature an exclusive design and are available with safety latches. 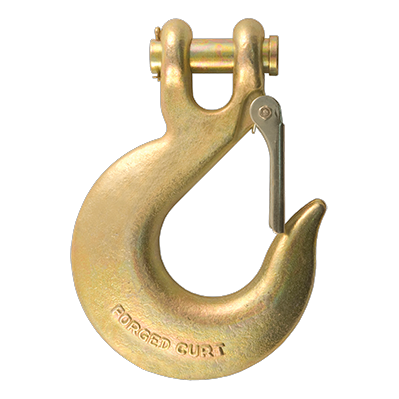 We also offer clevis grab hooks, certified S-hooks, snap hooks, quick links and joining links.